Spek is already pretty fast at analyzing audio files and creating their spectrograms. Apparently, it can be made even faster! A sizable chunk of processing time is spent calculating discrete Fourier transforms of audio samples. In this post I'm going to explore a few DFT libraries and compare their performance to what Spek is currently using. Relatively small, power of 2 transform sizes. The default size in Spek is 211, this will be adjustable in the future, but not by much. Single precision floating point numbers. 24-bit significand is enough when working with audio samples. Only one-dimensional forward real transforms. Last but not least, the DFT library should be free software, actively maintained, fairly popular and multi-platform. avfft, which is part of the FFmpeg project. This is what Spek uses. FFTW. Probably the most respectable FFT library of all. Supports both in-place and out-of-place transforms. djbfft by Dr. Bernstein of daemontools fame. It's not as performance tuned as the other two (e.g. it doesn't use SIMD instructions), but I want to see how it fares against them. Generate pseudo-random single-precision floating point samples. The number of samples corresponds to 10 minutes of signal at standard 44.1 kHz sampling rate. For all libraries and for all transform sizes from 29 to 213 run non-overlapping FFTs for the entire signal. Measure wall clock time only for FFTs (exclude sample generation and library initialization), take 5 measurements for every combination, report the fastest. Conclusion: Next version of Spek will switch to FFTW. I've just released a new version of xmonad-log-applet. Thanks to Ari Croock it now works with the MATE desktop environment, just include --with-panel=mate when configuring the applet. Because GitHub recently disabled new downloads, the tarballs are now hosted on Google Code. I also added a new tag for the applet in case you want to follow just x-l-a related posts. After more than a year in the baking, a new version of Spek is out! This release is almost a complete rewrite driven by the switch from GTK+ to wxWidgets to simplify packaging and to improve integration on Windows and Mac OS X. The switch also allowed to make a singe-exe version of Spek on Windows, which was a frequently requested feature. Spek now allows to change the spectral density range, which is essential when trying to detect lossy transcodes. It also handles the low end of the density better resulting in less noisy spectrograms. There were also some infrastructure changes: downloads and issues have been moved from Google Code to GitHub, and wiki pages with platform-specific installation instructions have been moved to a single INSTALL file. Read the changelog for the full list of changes in this release. Download links and installation instructions are available on the Spek homepage, get it while it's hot! The GNOME and Mono Festival of Love was a blast! I finally met Bertrand and Aaron -- my fellow Banshee co-maintainers; as well as a lot of GNOME and Mono people. I also met Udesh, the SoC student I'm mentoring this year, who is working on voice control in Banshee. I reviewed and committed a bunch of (mostly long overdue) patches in Banshee and taglib-sharp, and released a new version of the latter. We also discussed with Udesh his project and went through some technicalities. 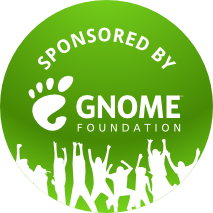 Thanks to the travel sponsorship of the GNOME Foundation, this week I'm going to Boston to attend the hackfest. I will be in Boston from Thursday evening till Sunday afternoon. Looking forward to finally meeting fellow Banshee developers! Last weekend Interviewstreet conducted a second CodeSprint. The event had a format similar to the Google's CodeJam: they gave you a bunch of problems and you had to program your way through as many of them as you could. There were a few differences though: the number of problems and the time given to solve them was higher (15 and 48h), they also ran solutions on their servers instead of just checking the output. I managed to solve 5 problems and to rank 145th out of 1890 contestants, spending about 12h in total during the weekend. There were a few technical quirks in the process, but all in all I really enjoyed the sprint and was pleasantly surprised by the quality and the complexity of the problems. In this post I will explain how I solved those 5 problems; it's mostly for myself, to straighten the thoughts out, as it was a bit chaotic and stressful during the contest. If you are interested in solutions make sure to check out the official CodeSprint website, they should have them available in a couple of days. Sort cards by their number, then take them one by one. On step n the number of ways is multiplied by the number of cards at the beginning of the deck with ci ≤ n. If this number is 0, it's impossible to pick up all the cards. The brute-force approach is O(N2) and could be too slow. To speed it up, we keep track of the last m : cm ≤ n and start from there. As m is never decreased the overall complexity is O(N). On each toss we either have a head or a tail, so the expected number of remaining tosses T(n, m) = 1 + ½ × [T(n, m+1) + T(n, 0)]. We could try a dynamic programming approach, but the formula is cyclic. However, for m = 0 the expected number of tosses can be expressed analytically: T(n, 0) = 2n+1 - 2 (proof). Add the boundary condition T(n, n) = 0 and memoisation, and you have a solution. One of the company-sponsored problems. We want to normalise email and street addresses and to keep two hashes with the combination of the normalised values and the deal IDs as keys. For each key we keep a list of credit cards along with order IDs. Then we process orders one by one and check all possible cases (see the source code comments). I found this problem a bit uninteresting for a contest -- it's tedious and, uhm, un-algorithmic. However it would probably make a decent interview questions with all its practicalities. Generalisation of the Longest increasing subsequence problem. The algorithm is very similar: take each value one by one and maintain values (and cumulative weights) of the last elements of subsequences of certain weight. After we process all values, the last element will have the maximal weight. One complication is that we need a data structure with efficient insertion, deletion, search and traversal times. One possibility is to use a red-black tree (as implemented by std::set) and augment it so that all nodes form a doubly-linked list. Also, unlike with the LIS algorithm, each insertion can lead to many deletions (see lines 74-82). With such a data structure, the running time is still at O(n log n). That was my favourite question, and the one I spent the most time on, even though in retrospect it doesn't look all that complex. Another company-sponsored problem. A pity N was quite small and the brute-force approach actually worked. Higher limits would require a clever data structure, such as the k-d tree and would make the problem much harder and more interesting. First we read all topics and questions and create a vector of all topics (ID and co-ordinates) and a map of topic IDs to the lists of question IDs. Topic queries are straight-forward: we sort topics by distance (and IDs, in case the distance is the same) and print the first m IDs. For queries it's a bit more involving: again, we sort topics by distance, then check all associated questions using our map. The complication is that we need to check all questions for topics with the same distance, and include those with higher IDs. Please never mind the code for this problem, my solution was accepted literally 5 minutes before the contest ended, as you can imagine I was a bit in a hurry. Big thanks to the Interviewstreet team for a great weekend! muspy is a website that notifies you when your favourite artists release new albums. muspy is free software released under GNU AGPL. Today I'm happy to announce the availability of the muspy API. The API allows you to create and modify user accounts, to manage the list of artists you want to follow and to receive their releases. Someone is already working on an iPhone app that will use the API, expect more news on this front soon! muspy is a free / open-source album release notification service. To make it easier to populate the list of artists you want to follow, muspy allows to import top artists from your Last.fm account. Today this function became more flexible: in addition to getting overall top artists, it can now import most frequently listened artists in the last 12, 6 and 3 months and 1 week. I also lifted the limit on the number of artists that can be imported from 200 to 500, and increased the number selected by default from 50 to 100. Do you have a feature that you want to see in muspy? Let me know! Alternatively, feel free to fork muspy on GitHub and to send your pull requests. If you are a music lover and never tried muspy before, give it a go! With muspy you will not miss an album release ever again. muspy is an album release notification service, you give it a list of your favourite artists and it sends you a notice (by email or RSS) as soon as they have new releases. I wrote muspy 3 years ago to scratch a personal itch -- I was spending too much time online checking if bands I'm into have something new; but was still missing many releases. muspy was initially developed for Google App Engine, which was the hot new thing back then. In retrospect, while working with App Engine was extremely educational and a lot of fun, it wasn't a very good fit. The recent announcement on the price increase was the last straw -- I decided to re-write it in vanilla Django and to host it myself. I'm also releasing the source code under GNU AGPL in the hope that it will be beneficial for the service and for its users. This was the most frequently requested feature, there were too many duplicate releases for some artists, release groups make everything much cleaner. This change was also the reason why the new version is almost a complete rewrite. muspy allows to star individual releases, starred releases show up on top of the sorted list of releases. This feature wasn't used by many which resulted in all releases being starred for most users. Now stars are off for new releases, if you want to star, you have to do it manually on the website. I migrated stars only for users with S \< min(R, 40) / 2, where S is the number of starred releases and R is the total number of releases for all artists you follow. It used to take more than a week to check all artists for new releases, now the checking cycle is much shorter. Things like importing from Last.fm or adding a comma-separated list of artists should also be significantly faster. I will be blogging about muspy blog instead of on the website itself. Feel free to subscribe to the full feed or just to the muspy category. Other than that, muspy remains pretty much the same. I migrated all the data but I encourage you to go the old site at muspy.appspot.com and to check if everything was migrated correctly. Please note that the old site's background processes are not running and it will be taken down in a month or two. Now that muspy is free and open-source, don't hesitate to look at the code, tweak it and suggest improvements. Git and GitHub make it too damn easy! And if you never used muspy before, give it a try! xmonad-log-applet is a handy panel applet/plugin for GNOME (and now Xfce) users who use Xmonad as an alternative window manager. The applet will show the visible workspace(s), active window's title or anything you send its way from your xmonad.hs. I recently took over xmonad-log-applet maintainership from Adam Wick, and today I'm happy to announce the release of version 2.0.0. Migrated the GNOME 2 applet from deprecated libbonobo API to the new D-Bus based API. GNOME 3 panel support (in fallback mode). Dropped GConf dependency which was used to specify the applet width; instead fill all available space (like the window list applet) and ellipsise when necessary. Substitute gnome2 with gnome3 or xfce4 if that's what you use. If you cloned the git repo, use ./autogen.sh instead of ./configure. After restarting the panel you should be able to add the applet. After this, your xmonad.hs should compile. EDIT: With GHC 7.4, you also need to edit DBus/Message.hsc and prepend Foreign. to unsafePerformIO.